Bar-ometer. A piece of silver that reflects the changes in your jewelry designs! 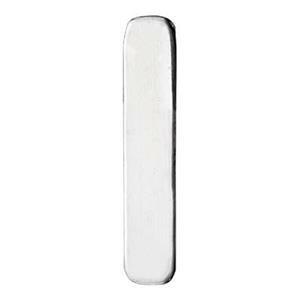 Our SL1375 – Bright Sterling Silver 24 Gauge Bar Blank. 24 Gauge – Perfect for Form Folding or Soldering a Bezel on. Finish the Forecast on your piece with one of our Sterling Silver Footage Chains.